[SatNews] These vehicles can be customized for different communications and applications making them ideal for crisis communications, extending infrastructure and allowing connections at remote locations. 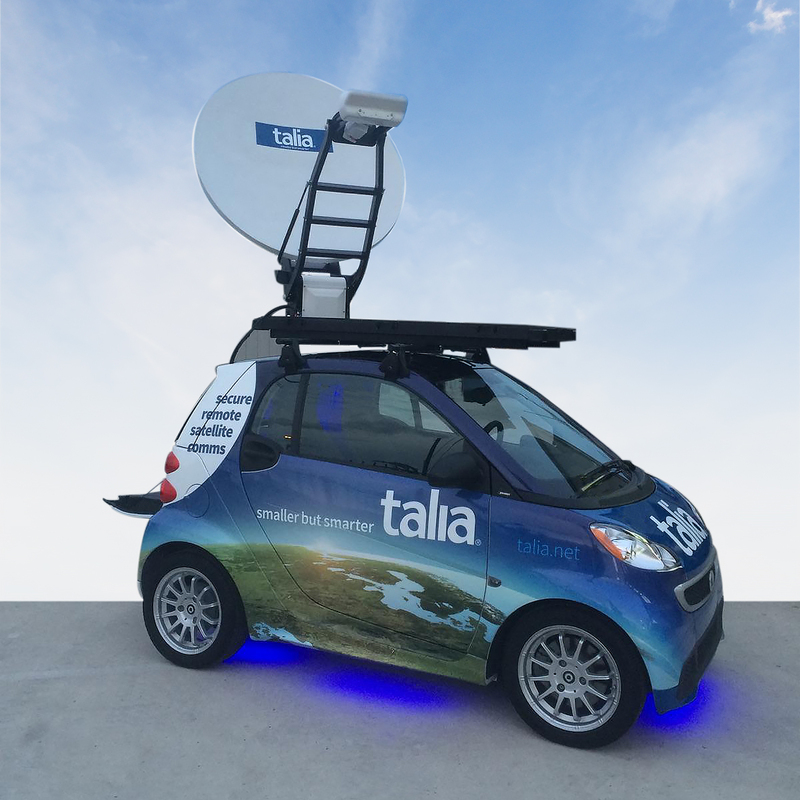 Talia will launch their new Mobile Communications Vehicle at OilComm 2014, which is an on-the-road Smart car or a rugged off-road vehicle which will ensure that most terrains throughout the world are covered, and this promises to give much needed coverage to even the most remote of areas. Both models feature 1.2m Ku-band, auto-acquire antenna, iDirect Evolution X5 modem capable up to a 5Mbps uplink and are fully operational systems. “One of the best things about these vehicles, is that the technical specifications can be customized to customer requirements for various different modes of communication," said Talia International Director of Enterprise Kurt Spindle, "and different applications, which makes them ideal for crisis communications, extending infrastructure and allowing connections at remote locations." With the expansion of Talia’s physical presence across the U.S., this also marks the addition of North America to the global MPLS network, which connects Germany, Iraq, London and the UAE. OilComm, the Oil and Gas Industry’s annual expo hosts professionals from both Oil and Gas companies to view new technologies and solutions. The conference and expo will host notable keynote speakers and displays of new and improved technology. The global communication experts, who have recently set up a regional office in The Woodlands, Texas, with ex Orange America’s Kurt Spindle at the helm, have been providing solutions to those in need of remote comms. Their main service offerings are to those in the Oil and Gas and Construction industries, and have put their expertise to good use by developing this vehicle, which will enable a satellite connection to be driven to almost any location in the world. Visit Talia’s exhibition at OilComm between November 5 and 7 at the George Brown Convention Center in Houston, Texas. For more information, please visit the Talia infosite.